I love the beginning of the year for a wedding ceremony and celebration. Nathan and Laura were wed at Golden Gardens Park in Seattle, on a sunny Saturday in February. 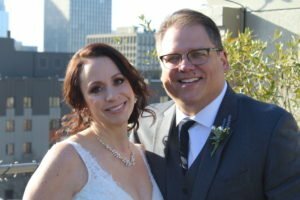 Surrounded by their best people and very happy family and friends, we all shared in a beautiful and intimate ceremony – with touches of fun and laughter. It was a road trip up to the Mt. Rainier area to get Christian and Tammy married at the Little White Church in Elbe. Photographer Jenny Goldberg-George and I shared in this most intimate of experiences, in a church a century old, on a wintery day with a most beautiful couple. Jim and Nicole, what can I say? Just so fun-loving in the best of ways. Yes, we had the serious parts of a wedding ceremony AND between the two of these lovebirds, lots of smiles and laughter. You could not have asked for a more beautiful sunny day in Winter for James and Lesley. They were married at The Sorrento Hotel, in the company of their children and family/friends. 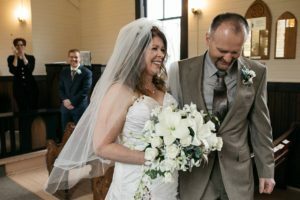 I greatly appreciated the intention these two put into having a ceremony that was beautiful, appropriate and easy, for not only the two of them but their children. 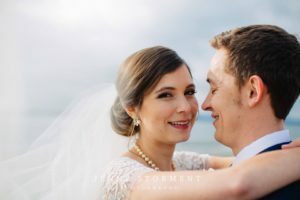 And then there is Brandon and Leeda – a sweet elopement at Volunteer Park! Just the two of them, 2 witnesses and so much love. What do these couples have in common? A commitment to beautiful wedding ceremony that reflects their story. A desire to be real. A commitment to no crazy.